I have been an enthusiastic fitness instructor for the past 20 years. My passion is cardio classes and total body conditioning. Along with teaching classes I am an avid runner, love cycling and practice yoga weekly to keep my body and mind active and in the best possible condition. I began teaching cardio classes after learning to love group fitness from our very own Gail Rosen who mentored me as an instructor. 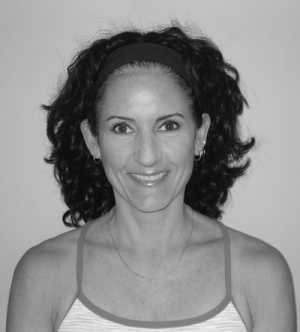 I have been certified as a Fitness Instructor Specialist for 20 years and love interacting with members of all ages and fitness levels. I continue to attend yearly conferences and workshops to keep energized and up to date on the latest trends in the fitness industry. I think anyone can find a type of exercise that they enjoy and it is my goal to help you achieve that passion for fitness that will make you stick with it and continue to improve your fitness level. I want to help members enjoy they workout experience and push themselves to the next level!